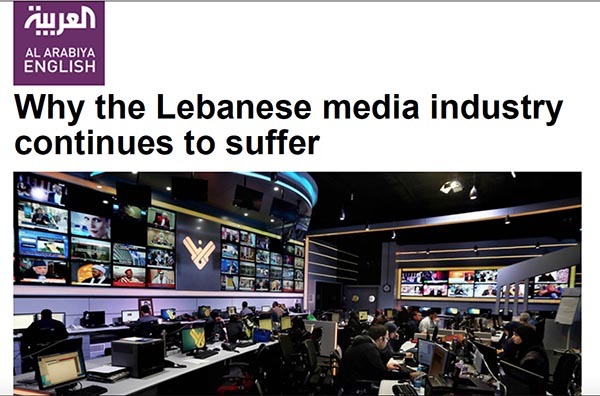 Lebanese journalists are on tenterhooks as mass layoffs decimate various media and budget cuts constrain operations, Media Unlimited director Magda Abu-Fadil told Al Arabiya English. “We are in a transitional phase. There is what is known as disruption and innovation and [things are] constantly changing,” she said. 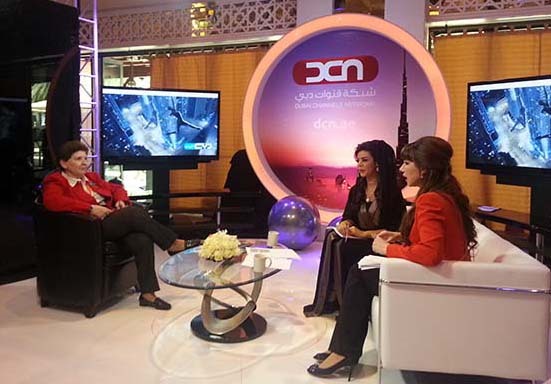 Her comments followed news that Dolly Ghanem, a founding reporter and anchor at LBCI TV, had been relieved of her last remaining duties of co-hosting a morning talk show after 31 years on the job. “There’s constant change, but it’s happening at such a fast pace that media are having a hard time catching up,” Abu Fadil said. A major setback: the drastic drop in oil prices, which has, by extension, adversely affected Gulf Arab patrons’ support of several print and broadcast Lebanese media. So when that started drying up or dwindling, there was an obvious trickle-down effect, she added. 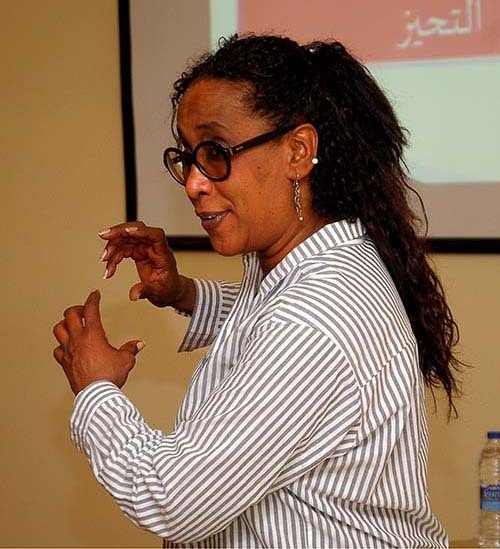 Media Unlimited director Magda Abu-Fadil pulled all the stops to familiarize Libyan journalists with the concept of conflict-sensitive reporting aimed at producing a code of ethics for their country’s media. 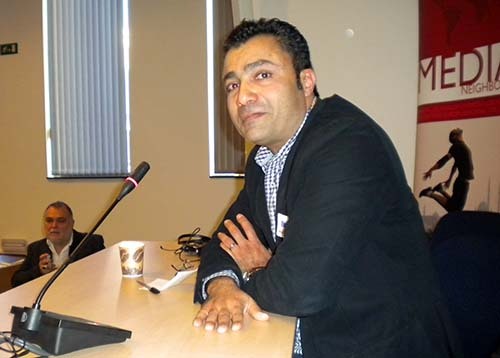 During two training courses, Abu-Fadil focused on definitions of conflict-sensitive reporting and bias, propaganda, hate speech, rumors, pictures, images, and video clips, the pros and cons of online and social media, religious incitement, and peace journalism. The final event, a workshop grouping some of the participants from the second training and others who complemented the assemblage, focused on hammering out a code of ethics to be adopted by Libyan media. 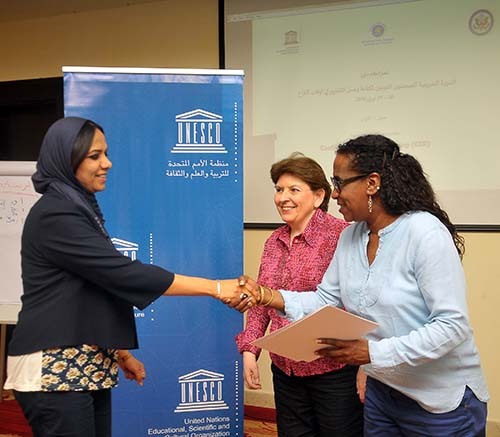 UNESCO’s Division for Freedom of Information and Media Development in collaboration with the Tunis-based UNESCO Libya CI focal point commissioned the work that was conducted in Amman, Jordan in April 2016. 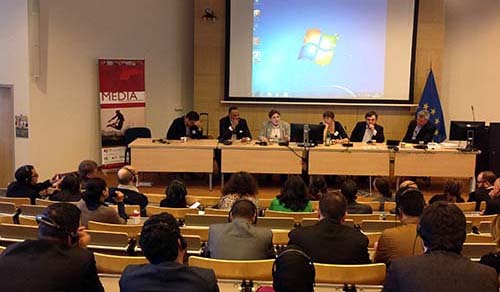 The event followed earlier efforts by UNESCO to establish a base for media ethics in Libya. 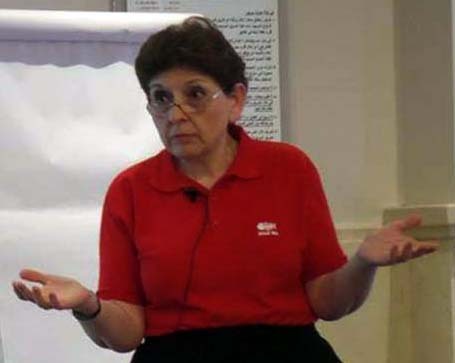 The Amman program was co-funded by the U.S. Embassy in Tripoli. The journalists came from Libya, Tunisia and Egypt to Jordan. 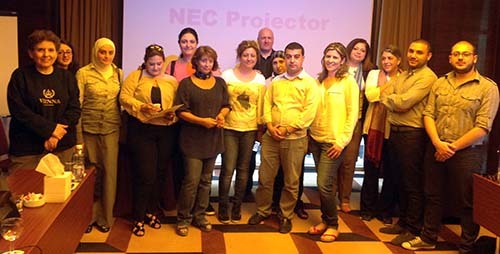 Some of the participants were already in Amman, since they work for Libyan media based in the Jordanian capital. They represented print, broadcast and online media. 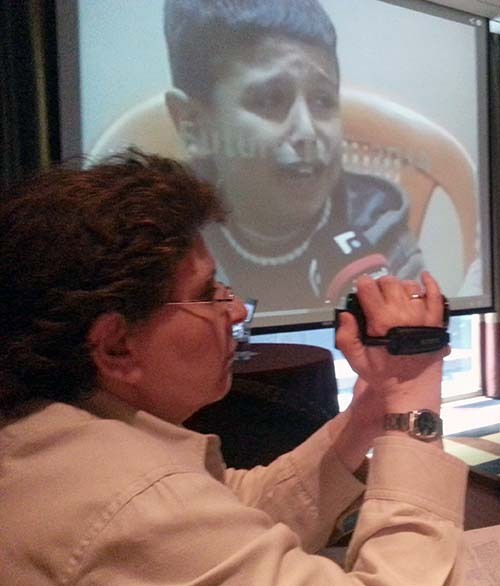 The program sought to change behavior and practice in Libya’s media sector. 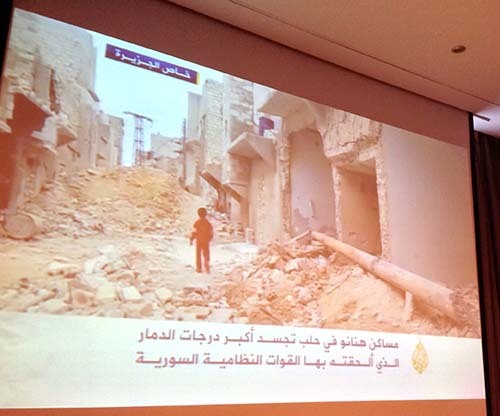 It drew on frameworks the journalists had established and adopted in the Madrid Declaration of July 2015 issued by Libyan media managers in talks facilitated by UNESCO in Spain. 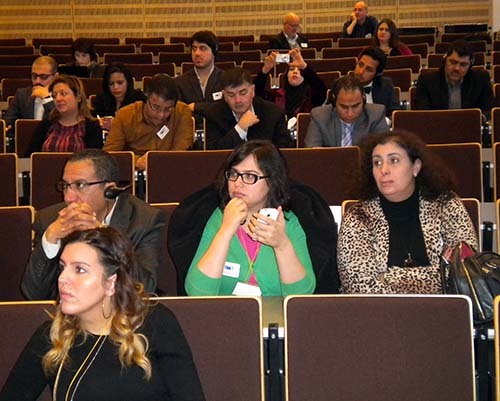 The journalists are expected to work with their peers, civil society, and local and national authorities to establish a national consensus on media practice, freedom of expression, and the role of the media in Libyan society. 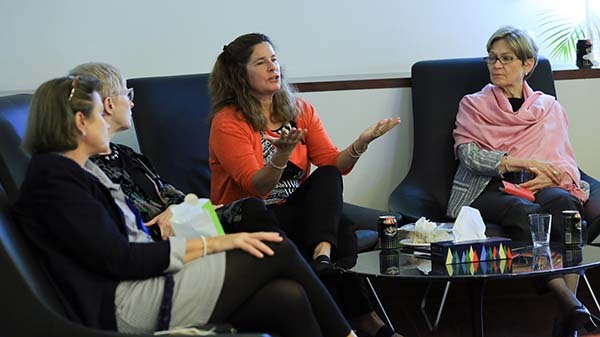 Becoming a journalist today requires a modified skill set to the one needed decades ago, but the principles of news gathering, fact checking, story telling and ethics remain the same, Media Unlimited director Magda Abu-Fadil told students in Doha. 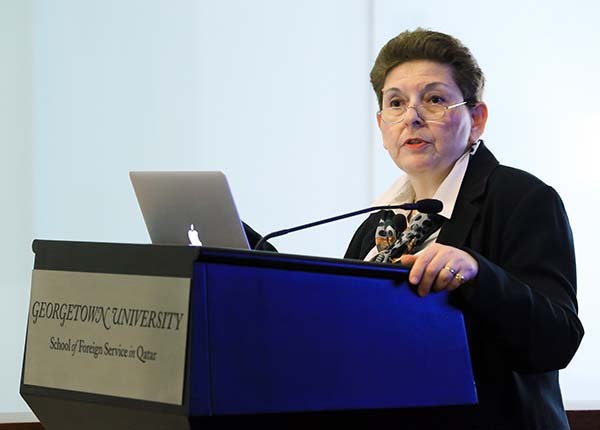 She addressed Georgetown University School of Foreign Service students and faculty members in October in Qatar on the evolution of journalism, on becoming a foreign correspondent, on politics, and on media ethics. 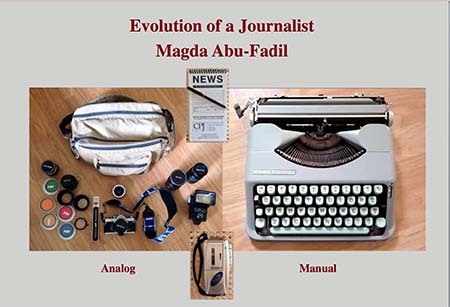 Abu-Fadil showed her audience how she had evolved as a reporter whose local and foreign assignments meant excellent preparations for stories through constant learning and knowledge as well as what was then available as tools of the trade. 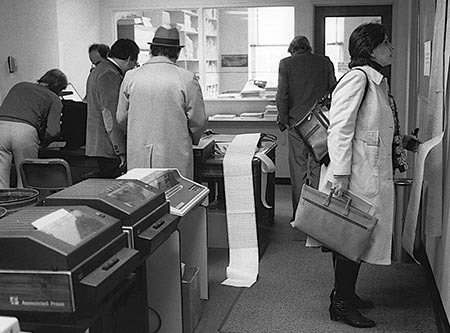 The tools included notebooks, pens, recorders, batteries, cameras, lenses, filters, flashlights, tripods, and typewriters. 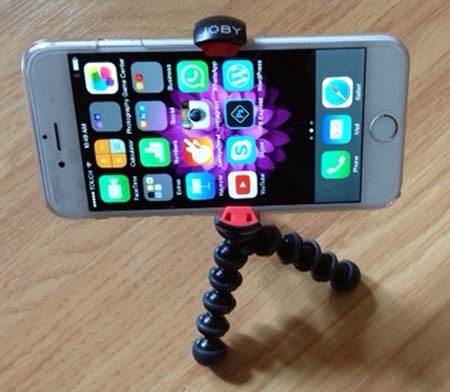 Mobile journalists, or mojos, including herself, using mobile, portable, connected devices have mostly replaced those earlier items, although several remain staples for reporters and photographers, she said. The informal lunch gathering included students from Northwestern University’s Qatar campus who attend joint media classes at Georgetown. 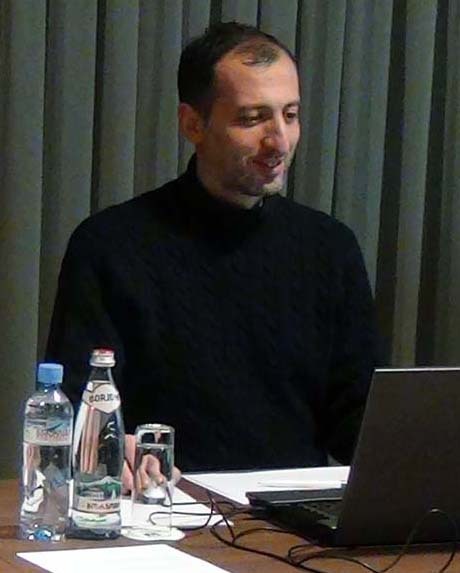 In another meeting with Georgetown students, Abu-Fadil spoke on media, culture and politics in the Middle East, focusing primarily on ethics (or the lack thereof) in print, broadcast, online and social media. 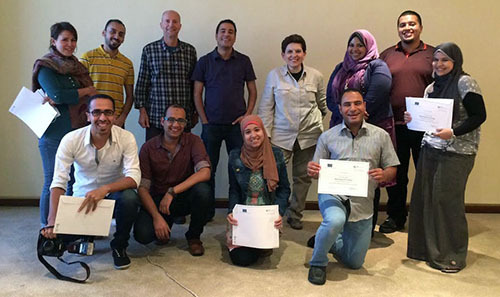 Capping a series of workshops across the Middle East/North Africa region and beyond, Media Unlimited director Magda Abu-Fadil joined BBC veteran Jim Fish to train two groups of Egyptian journalists in Jordan. Fish and Abu-Fadil reviewed and assessed the work of two groups of reporters, producers and editors for Egyptian print, broadcast and online media. 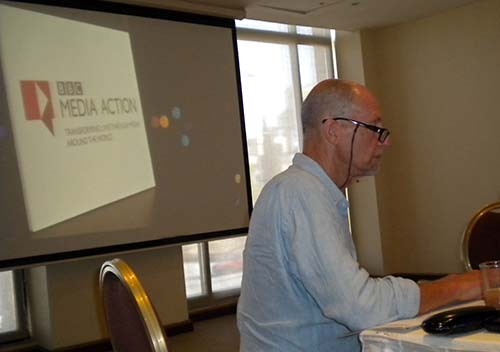 The journalists’ output was an assignment finalizing training that followed up on earlier courses organized by BBC Media Action and that the journalists had undergone on news reporting and writing. 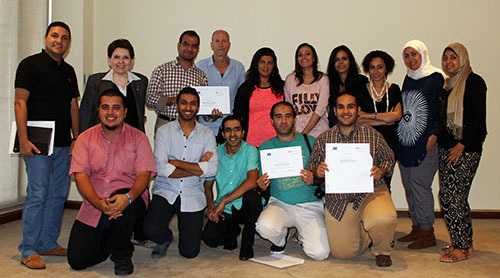 The September 2014 back-to-back workshops in Amman aimed at ascertaining the importance of proper and diverse sourcing, balance in presenting various sides to the reported information, ethical considerations, newsworthiness and accuracy. The trainers also stressed the importance of the correct use of language, grammar, attention to translated material used in the journalists’ coverage, and making sure all information, notably numerical data, are presented in the proper context. Fish and Abu-Fadil also provided pointers on how to improve radio, TV and online stories’ audio, visual and multimedia presentations. 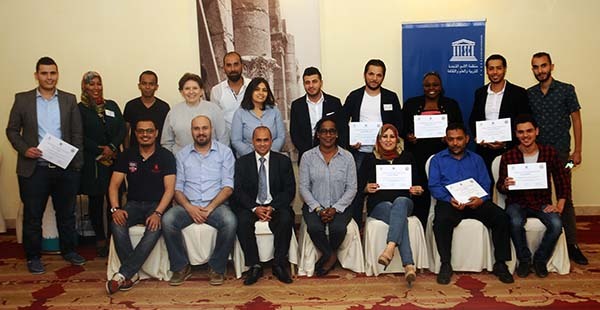 Media Unlimited director Magda Abu-Fadil trained two groups of Lebanese and Syrian journalists in a follow up to earlier courses organized by BBC Media Action. Key expert and BBC veteran Russell Peasgood provided guidance on how to improve their TV and radio reporting and editing skills. 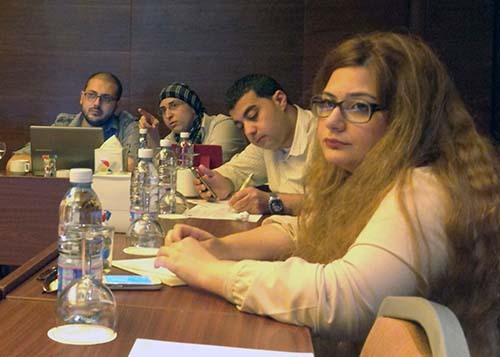 The consecutive May 2014 workshops in Beirut included reporters and bloggers from various print, broadcast and online media in Lebanon and Syria as well as Syrian journalists in exile. 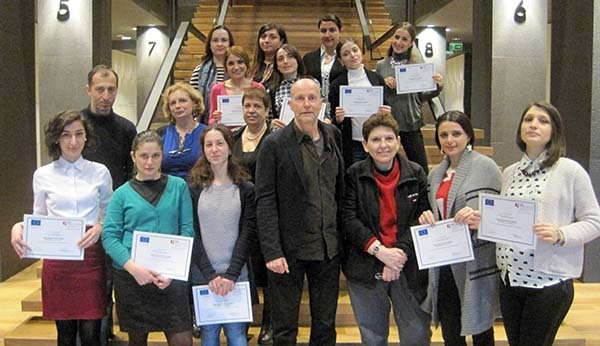 Stories ranged from hard news coverage and feature articles on the conflict in Syria and Syrian refugees, to the work of municipalities, water policies in the Middle East, university curricula, and women’s electoral rights and empowerment. 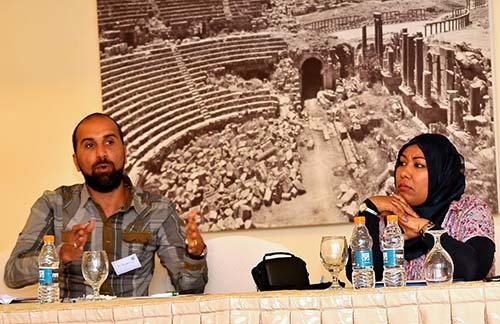 The Syrian journalists discussed obstacles they faced in verifying information about casualties, obtaining accurate data from opposing sources, and assorted dangers while reporting from the field. 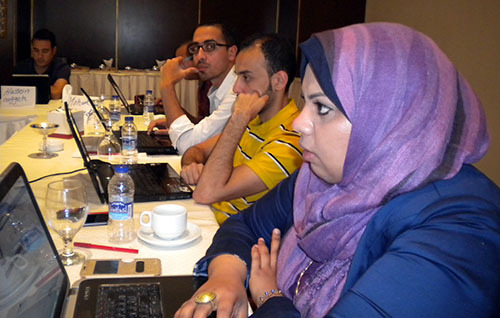 Thirty-three Jordanian print, broadcast and online journalists plunged into an intensive course aimed at fine-tuning their reporting skills in coverage of public health issues by reading tables, deciphering statistics, and carefully filtering through complex demographic data. 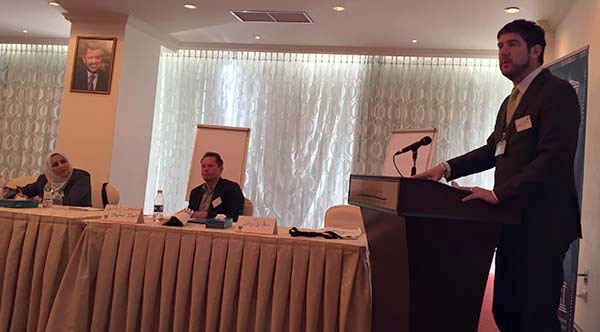 Media Unlimited director Magda Abu-Fadil contributed to the March 2014 workshop organized by Jordan’s former director of statistics Fathi Nsour and guided by the U.S.-based Demographic and Health Surveys (DHS) Program. 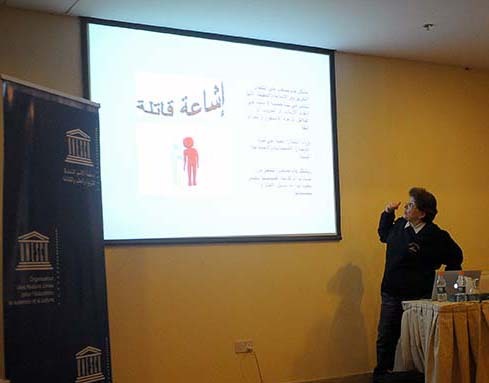 The training focused on understanding Jordanian demographic survey results, the importance of math for journalists, simple rules for writing with numbers, health terminology, and general reporting guidelines. Other experts in the fields of sociology, population, statistics and demographics were on hand to help clarify complex issues the journalists were expected to cover. The workshop included practical math exercises, online research for primary and secondary sources, a mock news conference on public health, writing, editing, media ethics, and a general knowledge quiz. 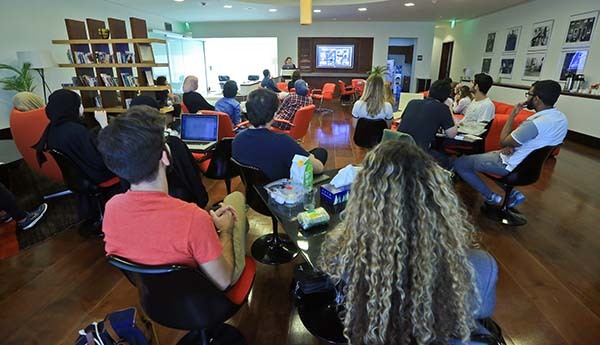 Participants also watched relevant videos, including a segment from “About Latifa and Others,” a documentary on domestic violence by award-winning Lebanese journalist Diana Moukalled. 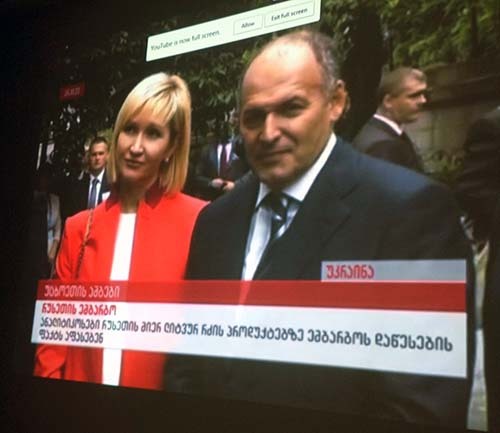 A major challenge was requiring the journalists to “put it all together” by reading and interpreting data, finding the story, verifying the information, not being overwhelmed by numbers, planning the story, reporting it, selecting the right headline, and simplifying complex terms for lay news consumers. DHS is funded by the U.S. Agency for International Development. It provides technical assistance to over 90 countries to conduct large national public health surveys and disseminate results to government and non-governmental agencies for use in programs and policies.